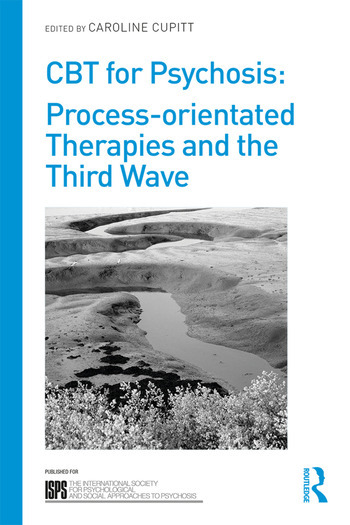 Introduction: Caroline Cupitt; Part One: Theoretical Perspectives; Metacognition in psychosis: implications for developing recovery orientated psychotherapies, Paul Lysaker and Ilanit Hasson-Ohayon; Emerging perspectives on the role of attachment and dissociation in psychosis, Katherine Berry, Filippo Varese and Sandra Bucci; Part Two: Specific therapeutic approaches; Metacognitive Training and Metacognitive Therapy: Targeting Cognitive Biases, Ryan Balzan, Brooke Schneider and Steffen Mortiz; Mindfulness in CBT for Psychosis, Katherine Newman-Taylor and Nicola Abba; Acceptance and Commitment Therapy, Eric Morris; Compassion Focused Therapy for relating to voices, Charles Heriot-Maitland and Gerrard Russell; A Principles based approach using the Method of Levels, Sara Tai; Part Three: Criticial Perspectives; A step in the right direction or a missed opportunity?, Rachel Waddington; Where next for CBT and psychosis?, Caroline Cupitt and Anne Cooke. Caroline Cupitt is Head of Psychology for the Psychosis Clinical Academic Group at South London and Maudsley NHS Foundation Trust, UK. She has worked as a clinical psychologist in services for people experiencing psychosis for more than twenty years. She is also editor of Reaching Out: The Psychology of Assertive Outreach (Routledge).